Religion has always affirmed the existence of unseen transcendental worlds which exist beyond (normal) observation and, hence, scientific enquiry, in dimensions of space and time other than our own, and has always required of believers that they believe in these unseen worlds. Even though we cannot see those Angels and Jinn who are around us, yet every believer believes in their existence here on earth! Here is evidence of our belief in dimensions of existence, and, hence, of worlds of space and time other than our own, existing alongside our own world of space and time here on earth. Not only do we believe in such dimensions which transcend our normal experience, but we also have incontrovertible evidence that an Angel can enter into our dimension and so appear in our world of space and time that we can see him with our eyes. This was demonstrated on several occasions by the Angel Gabriel (‘alaihi al-Salām). Here is one such occasion: Narrated Abdullah ibn Umar ibn al-Khattāb: My father, Umar ibn al-Khattāb, told me: One day we were sitting in the Masjid when there appeared before us a man dressed in pure white clothes, his hair extraordinarily black. There were no signs of travel on him. None amongst us recognized him. He eventually sat with the Apostle (peace be upon him). He knelt before him, placed his palms on his thighs, and (proceeded to ask five questions) . .
(The narrator of the Hadīth, Umar ibn al-Khattāb) said: Then he (the inquirer) went on his way but I stayed with him (the Holy Prophet) for a long while. This event qualifies as, perhaps, the most amazing occasion in history in which an angel assumed human form while entering into the dimension of space and time in which human beings exist, hence becoming visible and tangible to them. Now, can we use authoritative sources to explain the existence of dimensions of time other than our own? Can we explain ‘a day like a year’? Since the Qur’ān declares of itself that it explains all things (Qur’ān, al-Nahl, 16:89), the implication is that it must explain those statements of the blessed Prophet (sallalahu ‘alaihi wa sallam) which are beyond normal human understanding. Our purpose in this essay is to turn to the Qur’ān in an effort to locate the explanation of this enigmatic Hadīth concerning the 40-day lifespan (on earth) of Dajjāl, the False Messiah. Islam has taught that there was a time when mankind did not exist and that all of mankind was created as an act of divine grace at a moment in time; thus time pre-existed mankind. Islam has also taught that a time would come when everything would perish and only the divine countenance would remain. (Qur’ān, al-Rahmān, 55:26-7); hence time would continue to exist even when mankind no longer exists. Secondly, Islam has taught that mankind was originally created and placed in al-Jannah (paradise) in a dimension of time other than the biological time in which we are now located and in which we grow old. And it was in consequence of an act of disobedience of a divine command that mankind was expelled from that dimension of time and placed temporarily in this dimension of time in which we now exist. It is a basic characteristic of the modern godless age that it uses every possible trick to try to destroy the harmonious natural link between time and life as ordained in Islam, the one true religion. It thus seeks to corrupt our perception of time as well as our capacity to measure time in any other than a mechanical way. In fact that godless age seeks to replace our natural sacred conception of time with a secular conception of time. The modern godless Euro-Christian and Euro-Jewish age has, for example, renamed all twelve months of the year, from ‘January’ to ‘December’, and all seven days of the week, from ‘Sunday’ to ‘Saturday’, with the names of pagan European gods and goddesses. That did not occur by accident. It has nevertheless escaped the attention of modern Islamic scholarship. Also, a day no longer ends with the spectacular and dramatic event of sunset, as it naturally does. Instead, it now ends at midnight and a new day consequently begins at that totally irrelevant, inconsequential and meaningless moment in time when the overwhelming majority of people are asleep. A new month no longer begins and a previous month ends as nature has ordained, with the excitement and the incomparable splendor and beauty of a slender new moon gracefully adorning the sky just after sunset. Rather, the length of each month was arbitrarily determined by a European Pope. Some months were arbitrarily assigned 30 days, and others stuffed with 31, while hapless February suffered the abiding embarrassment of being sometimes this (i.e., 28 days) and sometimes that (i.e., 29 days). Even a day is no longer divided into parts that bear some relationship to the movement of the sun, as in the passage from false dawn to true dawn, to sparkling early morning light, to the bright light of the day, and then to the declining sun, fading light, and to twilight, moonlight, starlight, darknight and intense darkness, etc. Rather a mechanical passage of time is now regulated through the entirely arbitrary division of a day and night into 24 equal parts called hours, and each hour into 60 equal parts called minutes, etc. A misplaced sense of convenience and a quest for the efficient exploitation of time for mundane purposes took precedence over that sacred precise passage of a day. Sacred time functioned as a strategically important system of signs and symbols beckoning the human soul to the world of the sacred. Sacred time thus helped us to produce sages. 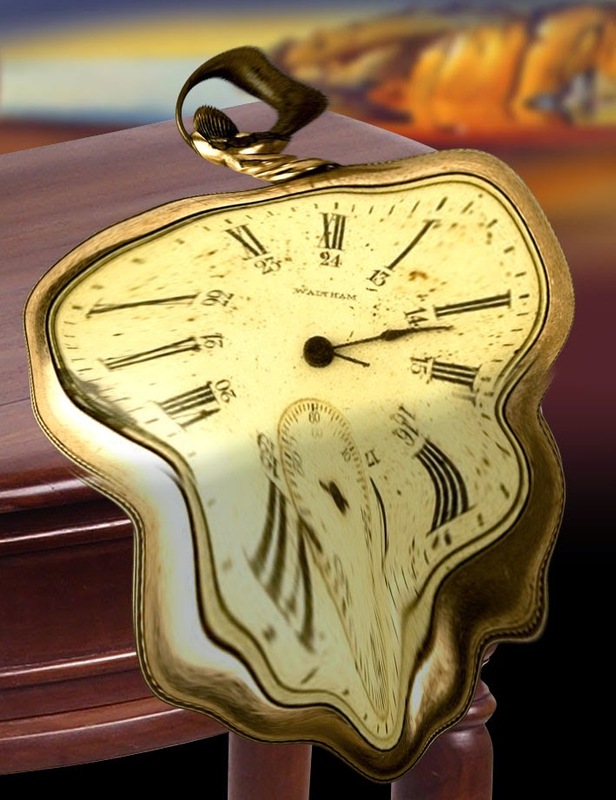 The secularization and consequent mechanization of time broke those links with the world of the sacred and confined the importance of time to its functional material worldly utility. It is also no accident that the cemeteries of modern cities are located far outside those cities and towns. The hidden purpose is to imprison the mind and heart in the life of this world and, in the process, to cause us forget about death, about life beyond death and, consequently, about other dimensions of time. Television and the rest of the news media are used to manipulate news and events in such wise as to imprison mankind in the tyranny of the ‘moment’. Images and stories flash across the television screen with a rapidity that distorts, reduces and eventually destroys the mind’s capacity to ponder and reflect. Most people are hence reduced to living mindlessly, day-to-day and moment-to-moment. Yesterday fades away and no longer impacts on the consciousness. Tomorrow is but an extension of today’s fantasies. The entirely predictable consequence has been that people have lost the capacity to connect the past with the present. Nor can they anticipate a future that would add up to make a meaningful whole. They cannot read and understand the movement of history. They are not even conscious of the movement of time in history. Hence they cannot recognize, nor understand, a mysteriously unfolding imperial agenda in the Holy Land, as well as in the world at large, that a strange Euro-Christian and Euro-Jewish alliance has been pursuing for centuries. That agenda is about to culminate with the Euro-Jewish State of Israel emerging as the third and last ruling State in the world, and with someone ruling the world from Jerusalem and declaring himself to be the true Messiah. That is the ultimate deception! Yet the modern age has mysteriously succeeded, and amazingly so, in pursuading so many in the world of Islam to slavishly imitate and follow that strange Euro- Christian and Euro-Jewish alliance’s modern western civilization down into the proverbial lizard’s hole. He explained that the perception of time moving faster would be in consequence of the ‘remembrance’ of Allah Most High (Dhikr) departing from the heart, and a preoccupation with the worldly life (Dunyah) taking exclusive possession of the heart. Such hearts would not be bothered in the least with such things as Dhikr i.e., the ‘remembrance’ of Allah Most High. These hapless people who are imprisoned in a world of everfleeting time are paying the price of being further trapped in the fleeting moment and hence the ‘here’ and ‘now’. They will never be able to read and understand the passage of time or the movement of time in history. They will thus be taken for a ride and remain totally heedless of their pathetic state as they fall into a bottomless pit. The consequence of spiritual vacuum in the Last Age would be moral collapse to such an extent that: “. . people would make business agreements with one another and scarcely anyone would fulfill his trust”. The spiritual vacuum and moral collapse would so incapacitate judgment as to render people incapable of distinguishing men of integrity from charlatans. There can be no doubt whatsoever that this so-called age of ‘progress’ is, indeed, the age when these signs of the Last Day have appeared. This is the age of secularism. Even the state is secular, and so too politics, the economy, education, the market, the media, sports, and entertainment. The dining room, living room and even bedroom are today also secularized. Secularism begins by ‘excluding God’, and culminates by ‘denying Him’! When knowledge is secularized it leads to the belief that knowledge comes from only one source, i.e., external observation and rational enquiry. The implication of the adoption of this epistemology is the inevitable conclusion that since this material world is the only world we can ever ‘know’ in this way, it follows that this is the only world that really ‘exists’. Thus it is secularism leads to materialism, i.e., the acceptance, for all practical purposes, that there is no reality beyond material reality, and hence, that there are no other dimensions of time other than this world of time in which we exist. Materialism has led, naturally so, to greed, lies, promiscuity, injustice, oppression, godlessness, and great betrayals since the moral foundations of society cannot be sustained without the spiritual heart of religion. That heart can neither be built, nor sustained, without belief in transcendental verities (such as God, Angels, heaven and hell) that exist in a world beyond the material world. Even the passage of life through time can easily become meaningless when no other time exists than ‘here’ and ‘now’, and no other world exists other than this. Whoever can penetrate time beyond the ‘here and now’ can read and understand the signs of Allah and the signs of the Last Day as they unfold in the movement of history. The dimension in which we measure the passage of time with days and nights and the seasons of our life as well as the seasons of nature, is provided to us that we might measure the passage of our own individual and collective sojourn on earth. It is a test and trial. It does not represent the totality of time. Rather it constitutes the foundation for our growth into other dimensions of time described in the Qur’ān. 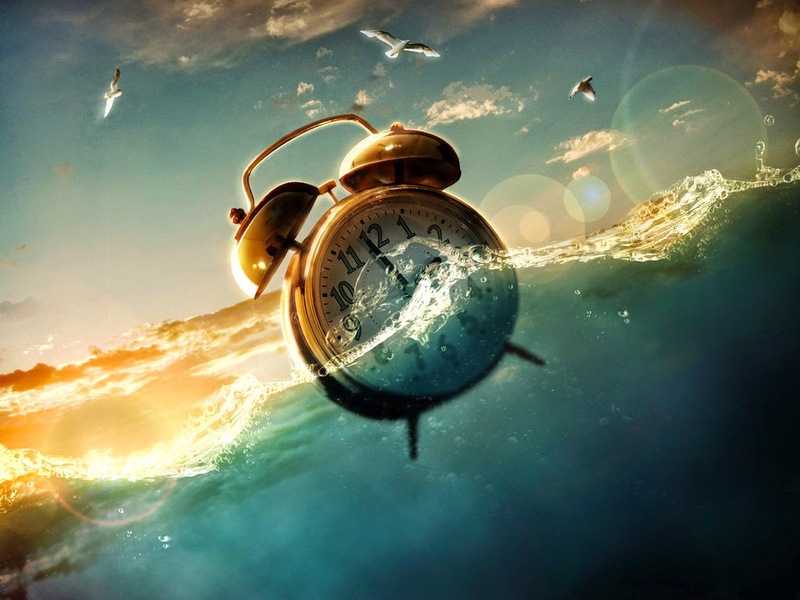 As we grow in time, i.e., in our perception of time and capacity to grasp and understand time as it unfolds in our lives as well as in the external world, we simultaneously enhance our capacity to understand the Last Age as it unfolds in the last stage of the historical process. ‘nights’, ‘weeks’, ‘months’, ‘years’, etc., may be described as serial time. These seven firm bodies are usually recognized as seven ‘heavens’. But they are not heavens at all! Rather they should be recognized as seven different worlds of space and time that stand in between earth and Allah Most High on His Summit-Throne (al-‘Arsh). Some of the young men responded that they had stayed in the cave for just a day or part of a day. Others, however, could discern spiritually that the passage of time in the cave perhaps exceeded that which was suggested by some of their companions. Indeed some people suggested that the youths had slept in the cave for as long a period of time as three hundred solar years (equivalent to 309 lunar years). There is a remarkable description of the proximity of different dimensions of time right here on earth in the same passage of the Qur’ān quoted above (Qur’ān, al-Baqarah, 2:259), in which Allah Most High makes mention of the traveler who passed by Jerusalem after the Babylonian destruction and who could not conceive of the dead city ever being revived to life. The traveler was put to death (sleep is a form of death) for a hundred years and then revived to consciousness. As with the youth, so too did the traveler have the consciousness of having tarried for just a day or part of a day. But the Qur’ān gives a vivid description of two different dimensions of time existing beside each other on earth when it described the fate of the donkey in one dimension of time, and of the food in another. While the donkey, in our dimension of time, starved to death, and the body decomposed until even the bones had crumbled to dust, the food which was preserved in another dimension of time remained fresh even after a hundred years. The lesson from this narrative is that both dimensions of time exist side by side right here on earth! We witness exactly the same phenomenon in the next chapter of this book in the story of the young men who were put to sleep in the cave and who slept for three hundred years. Our analysis of that story indicates that their bodies were located simultaneously in two dimensions of time during their long sleep in the cave. In the first dimension of time their bodies kept on rolling to the left and to the right in synchrony with the movement of the sun, i.e., morning and evenings. In the second dimension of time their bodies displayed no visible signs of biological growth and ageing despite the passage of three hundred years. O Children of Adam! let not Satan seduce you, in the same manner as he got your parents out of the Garden, stripping them of their raiment, to expose their shame: for he and his tribe watch you from a place where ye cannot see them (i.e., they observe you from a dimension of space and time beyond your observation – hence from an unseen world): We made the Evil Ones friends (only) to those without Faith. The lesson from the above narrative pertaining to the ‘food’ and the ‘donkey’ extends beyond recognition of two worlds of time existing side by side right here on earth. The food, while still located in this world of time, was also preserved in a second world of time in which it remained fresh despite the passage of three hundred years. In other words, continuous travel or passage between two worlds of time occurred in this event. The same thing occurred in the case of the young men in the cave as described in Sūrah al-Kahf. Their bodies remained physically for three hundred years in the cave in this world of time while yet preserved in another world of time in which they never grew old. And the same travel or passage through different worlds of time occurred in the Isrā and M’irāj of Prophet Muhammad (sallalahu ‘alaihi wa sallam). In view of the fact, however, that the Prophet (sallalahu ‘alaihi wa sallam) had to be taken by Burāq to the Holy Land in order to be further transported into the Samāwāt, it now seems clear that this phenomenon of travel between other dimensions of time and our time is possible, perhaps only in the Holy Land. Hence the ‘town’ that was lying in ruins had to be Jerusalem, and so the miraculous event concerning the donkey and the food occurred in the Holy Land. The Cave in Sūrah al-Kahf also had to be located somewhere in or around the Holy Land. It was from the Holy Land that Jesus, the Son of Mary (peace and blessings of Allah Most High be upon them both), was raised into the Samawāt. And when he returns from the Samawāt it should be in or around Jerusalem that he would descend. * You may download the full Book as PDF here or order a copy here.